Since #64 looks like a hard problem. How about adding support for third party artifact storage since the current way to handle artifacts is to send it to somewhere in the buildscript yourself. 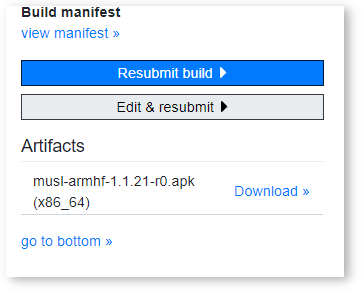 This is currently used in the build.postmarketos.org system to send the build results to the repository. Currently manifests that have execute: false set are executed anyway. It would be nice to be able to overwrite the data of an existing secret so you can rotate the keys for services without having to update uuids in the manifests.